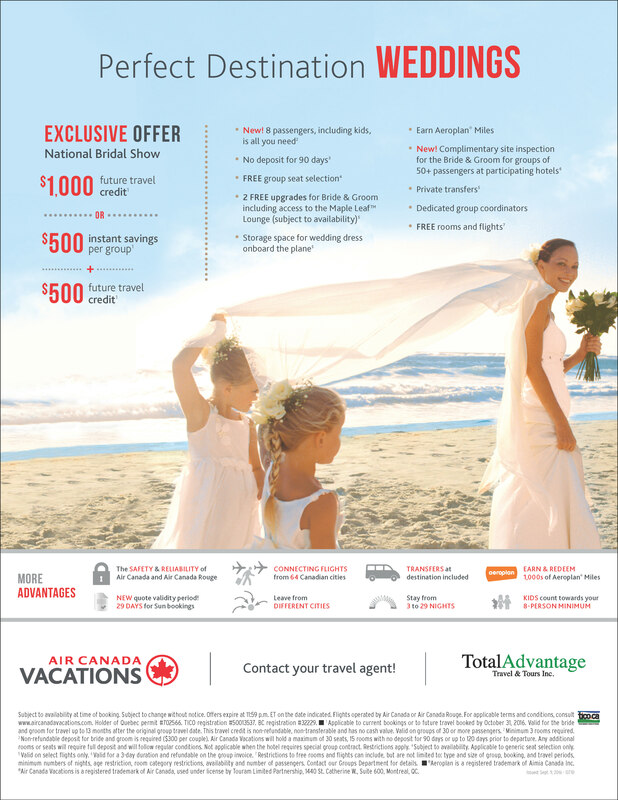 Total Advantage Travel's new partnership with Air Canada Vacations makes it even EASIER to book your Destination Wedding! Receive a lower group booking rate, so everyone is quoted the same amount. The Bride & Groom's deposit allows them to hold up to 30 seats and 15 rooms for 90 days, giving their guests plenty of time to decide. Air Canada's comprehensive flight schedule means more frequent departures from many more Canadian cities. This offers more options for the group, including shorter stays. Only a minimum of 8 passengers are required for a group (including kids over 2) - this is a lower minimum than most Canadian tour operators. 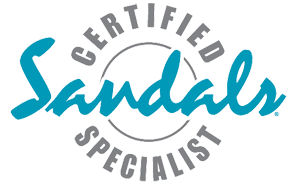 Total Advantage Travel & Tours will take care of receiving everyone's payment and preparing everyone's travel documents, so the Bride & Groom can focus on their wedding plans. Total Advantage Travel & Tours will introduce the Bride & Groom to an on-site wedding planner, who will help them create the wedding ceremony of their dreams! 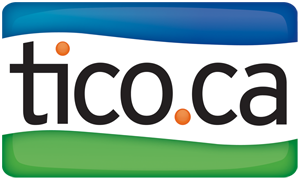 For more information or a free, no-obligation quote, click the blue "Start Your Trip" button.